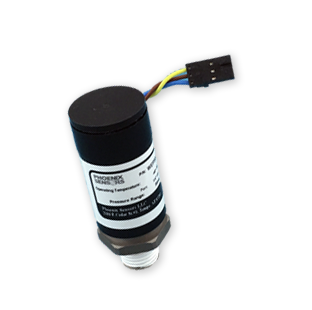 The PPT88 is the worlds smallest pressure sensor data logger. This pressure data logger is less than 1” in diameter and only 2.7” tall. The sensor is capable of storing of up to 200,000 (pressure, temperature, & time stamp) measurements directly onto the sensor. 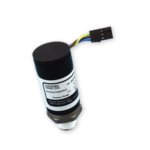 This battery powered (3V DC supply option available) miniaturized pressure sensor was designed to supply an economical solution for industrial, consumer, and commercial applications where size, cost, and time are important. After logging data for minutes, hours, days or months. Simply download the data onto any PC using Hyper-terminal. The sensor can store data at rates up to 200 times a second (200Hz). Depending on the upate rate, the battery will last up 2-weeks (1 measurement/10 sec). Please contact us for Custom design availability. Store the data directly on the sensor for analysis later. The unit provides a time-stamp, temperature, and pressure data. Download data to PC using PC Terminal.